‘The whole web of life is somehow woven into the experience’. Over the next month of our crowdfunding, we’ll be checking in with people who have been to one of our workshops and drawing on some of their experiences to help illustrate the benefits of supporting our work. Below we speak to Matthew who came to one of our workshops in November. The chance to learn how to make Kimchi, which I adore. It was much better than I expected. It was informative, lively and fun as well as provocative and a bit political. The information about bacteria in our guts was really, really, interesting – and made me think about the immune system and diet in quite a different way. What I learned is directly affecting my decisions about snack foods when I’m out and about. In a sentence, could you sum up the social value of the work of Octopus Alchemy? Whilst focusing on how to make nutritious superfood – the whole web of life is somehow woven in to the experience! 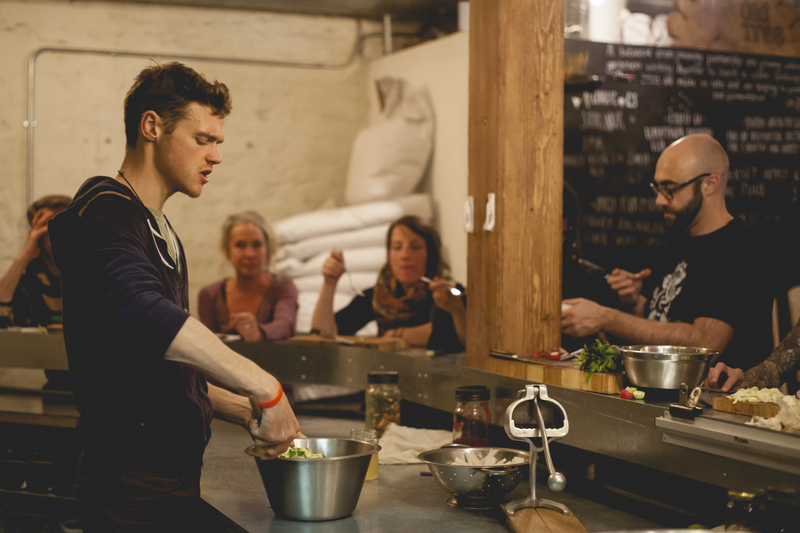 Octopus alchemy are right on the button with their message about health empowerment, slow food, food waste , and nutrition. 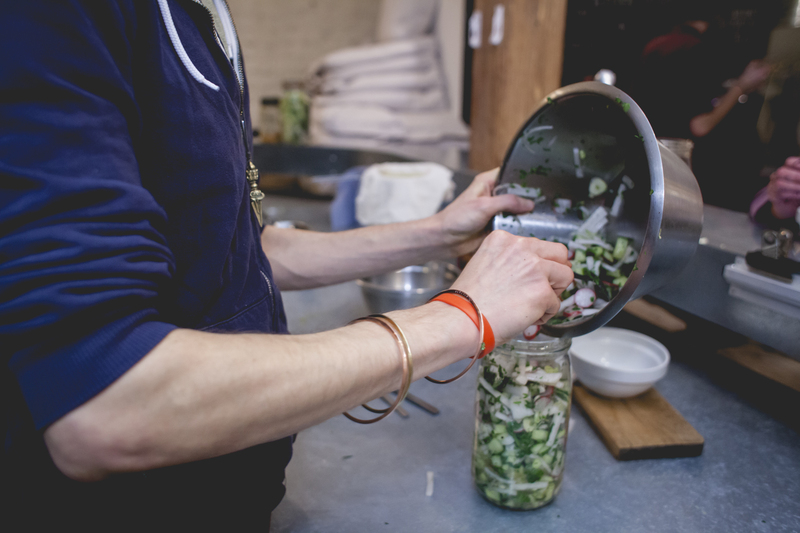 People come together to learn how to make simple fermented foodstuffs, and get informed and inspired as well – without being preached at.